Do you have a La Jolla Beehive Problem? D-Tek Live Bee Removal is here to help! Do you live in La Jolla and have a bee problem at your home or place of business? If you want your La Jolla bee infestation solved permanently look no further than D-Tek Live Bee Removal. 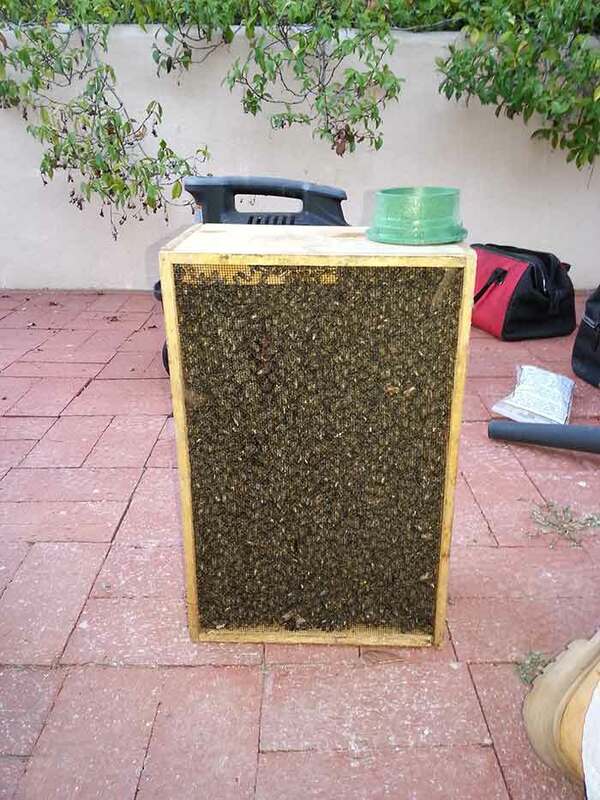 We are a professional San Diego beehive removal company that specializes in the safe removal and relocation of honey bees to our local bee farm in San Diego. We utilize a custom built vacuum system to gently remove the honey bees from your home or business. After we have safely removed the bees we transfer them into a hive box. The final step in the process is we drop them off to our bee farm in San Diego. By choosing D-Tek Live Bee Removal to handle your bee problem you can be assured it will be taken care of in a timely and professional manner. Our technicians always do a very complete and thorough job with all of the above steps. 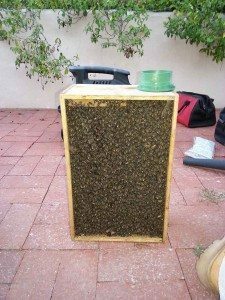 Question – Can we simply remove all of the honey bees and leave the honey comb inside of the structure? Answer – That is never a good idea for a few reasons. The first reason is that once the honey bees are no longer around to tend the bee hive the honey will more often than not melt out and can cause damage to drywall, stains on stucco, stains on siding, electrical wiring, damage to wood framing, etc. The second reason this is a bad idea is that honey bees have an excellent sense of smell. Other bee swarms in the area will smell this left over bee hive in your home or business and will be attracted right back to it. You will more than likely have a lingering bee problem until the bee hive is fully removed. It will be more expensive up front to do a proper bee removal at your La Jolla home or business but in the long run will end up saving you time, money, and a major headache. Question – Can you simply exterminate the honey bees? Answer – No. D-Tek Live Bee Removal only offers live removal of honey bees. We use a state of the art vacuum system to safely remove the bees. After we have performed the live bee removal and all associated repair work we drop the honey bees off to our local San Diego bee farm. Honey bees will start building a bee hive just about anywhere. The most common spots are in the attic, wall, floor of a shed, irrigation box, BBQ. We have even run across honey bees building a nest on the outside of a clients stucco before. With this being said it is often times necessary to cut into a roof, siding, stucco, drywall, floor, to fully remove all of the honey comb the bees have built. Included with every price is the complete repair that may be needed to your La Jolla home or business. D-Tek Live Bee Removal offers a guarantee on all repair work performed. We guarantee that our roof, stucco, and siding repairs are leak free. We also guarantee any drywall repairs to defect free and to blend seamlessly with the surrounding area. After your La Jolla bee removal and all associated repair work has been completed it is time to start the bee proofing process. We also refer to this as bee control. No one wants to have a bee removal more than once. We will go over every crack, crevice, hole, vent, in a 10 foot radius from the original entry/exit point and seal them up tight so no honey bees can get back in to the structure. D-Tek Live Bee Removal also offers whole home or business bee control in La Jolla. One of our expert technicians will go over every vent, crack, crevice, hole, etc and seal everything up as tight as can be. We also offer a guarantee on all the bee control services we perform in La Jolla. So where exactly do all these honey bees go after we have performed a live bee removal in La Jolla? D-Tek has opened our own beekeeper establishment in San Diego and the bees will be dropped off and placed in hives. We use them for pollination of the surrounding orchards, crops and gardens as well as obtaining raw honey, pollen and beeswax that we offer for sale. Honey bees are dropped within 24 hours after the live bee removal has been completed to ensure the livelihood of the colony. Get your bee problem taken care of as soon as possible. Call the bee control experts at D-Tek Live Bee Removal today! Our direct line is 760-224-3040. You can call any time day or night. If we do not answer please leave a message and we will be in contact with you very shortly. Usually within 1 hour. We also have a contact form on this website. Simply fill out the form with your email address and phone number and we will call or email you back ASAP to get your bee removal taken care of.